Product prices and availability are accurate as of 2019-04-12 06:26:55 EDT and are subject to change. Any price and availability information displayed on http://www.amazon.com/ at the time of purchase will apply to the purchase of this product. Thirstystone Cork Coasters are a wonderful addiction to any kitchen or work station. The full color image will not fade from use and the 1/4" thickness will provide an additional layer of protection to any delicate surfaces. 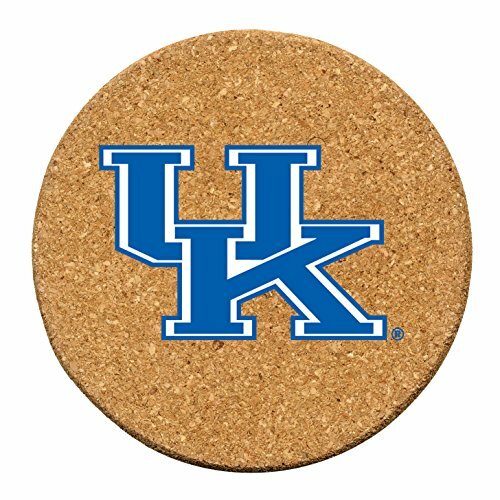 The 41/4" diameter will provide plenty of coverage for your favorite drink and the durable cork material will last for years to come.